Warning, this post contains a picture of feet. I know that grosses some people out, so just letting you know what to expect. 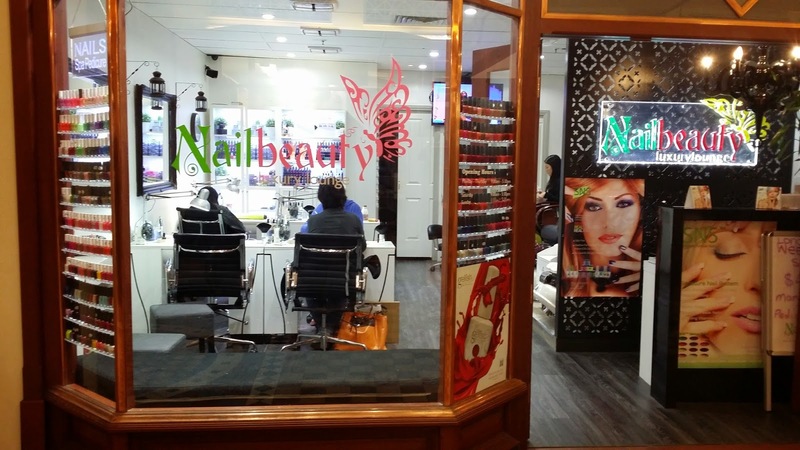 I was invited back to Nail Beauty Luxury Lounge by the owner Anthony to try their services under new management, following an indifferent experience late last year which I wrote about on Yelp. I called to book my appointment for a mani/pedi and hung up before realising I wasn't asked for my name or contact number. However, this wasn't an issue when I arrived and, after my feedback, has been addressed with staff. I was a little early so I selected my colours and took a seat in the waiting area, a window seat looking into the historic Regent Arcade. There is a decent range of colours to choose from; mostly OPI and some Essie (possibly China Glaze as well but can't confirm). There's also a good selection of fun glitter and textured polishes which I find can be lacking in other salons. I chose regular polish but I could see what looked to be a good range of shellac and gel polishes also if that's your thing. I was shortly called through to a pedicure chair and enjoyed the foot spa and massage chair action while I was waiting. The filing, shaping and sole scrub all went well (apart from the usual squirming during the ticklish sole scrub). The cuticle scrape and trim also went well and I was happy to not have any bleeding cuticles as I find quite often happens. The leg scrub is still quite vigorous and borders on painful and unfortunately the rinse off jet was initially scalding hot to the point of burning and made me jump and yell. A little refinement in this area would make it more enjoyable. A hot towel wipe off was a nice touch. My chosen colour for my toes was an OPI limited edition glittery shade called "Extra-Va-Vaganza" from the Burlesque collection which was applied quickly and expertly and smudges cleaned up after a thorough check over. It was then time to move over to the manicure station and the same technician performed my manicure. One unusual thing was that she pushed my cuticles back with her own thumb nail which I'd never seen before but actually preferred as being a gentler alternative to the scraper. I chose OPI's "Significant Other Color" which is from the Brights collection and this was also applied quickly and well. Drying is the old school fan method and a coat of finishing spray to end. The horrendous easy listening muzak that I was subjected to during the last visit is "burned and buried" and entertainment was the Victoria's Secret runway shows on TV which was an improvement, even if I did have to tolerate a live performance by Justin Beiber. Speaking to Anthony the owner after my session, he ran me through some of their plans and ideas for the salon going forward, some of which sound really unique and appealing, including having individual tool kits set aside for exclusive use by each member. Although $45 at full price for a mani/pedi is more than I'd usually look to pay, for a decent service and potential member benefits and discounts, it's worth it. I was impressed that Anthony had taken the time to contact me via Yelp and was seeking feedback on the changes he was making to the business. This shows a strong desire to improve and an understanding that the customer experience is vital to success! Nail Beauty Luxury Lounge is located at Shop 28 in the Regent Arcade, 108-109 Rundle Mall, Adelaide. Phone (08) 8123 7898. In accordance with my disclosure policy, I received a 50% discount on my mani/pedi and staff were not aware I was reviewing the service at the time. 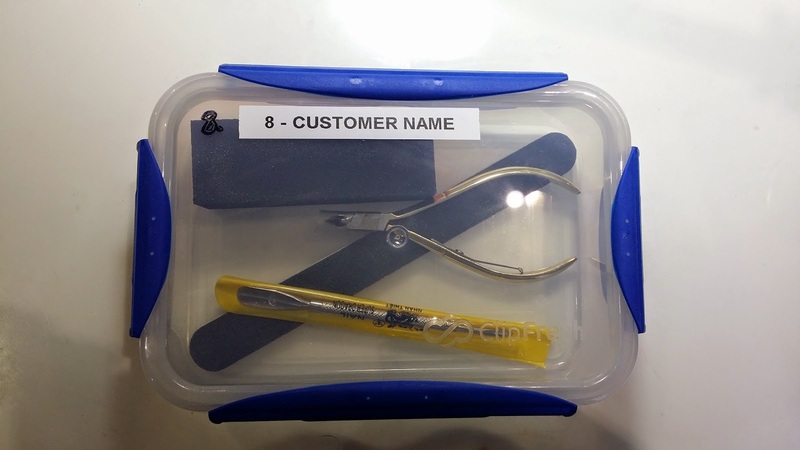 I love the sound of individual tool kits for regular customers. Scalding hot water sounds less good but I am impressed with Anthony contacting you after you left indifferent feedback to first time. Definitely another positive sign. Yes, I thought that was a really good way to improve on business practice and I'd probably go back based on that. Really like the idea of individual toolkits too. If only every business was so keen to learn from customer feedback! I think it's great that they asked you for feedback and even have a kit for regular customers. I do think that using the thumbnail to push your cuticles back was unhygienic of them though. Maybe let them know that you prefer to use a tool or something, even if it's not as gentle? Yes, I was a bit taken aback - and as usual - too non-confrontational to say anything but I did include it in my feedback and review to the business so they are now aware. I'm always a bit dumbstruck when things like that happen!